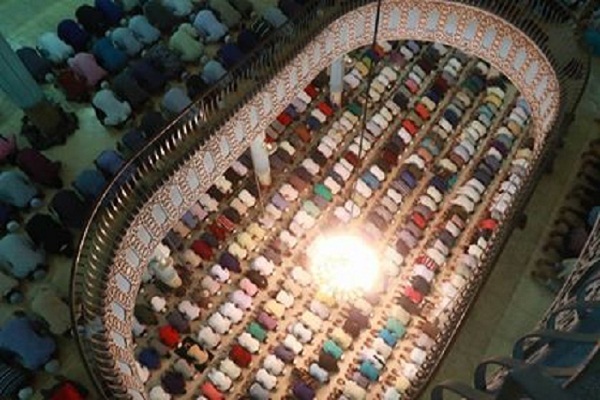 The holy Shab-e-Barat, known as the night of fortune, is being observed across the country on Tuesday night with due religious fervour and devotion. President M Abdul Hamid and Prime Minister Sheikh Hasina greeted all Muslims of Bangladesh and elsewhere across the world on the occasion of the holy Shab-e-Barat. Muslims consider Shab-e-Barat as one of the three most sacred nights and believe that on this night Almighty Allah decides the fate of all human beings fixing their 'rizq' (livelihood) for the next year. The devotees across the country are visiting graves and praying for their beloved ones seeking their eternal peace. Many are visiting mazars, shrines of saints all over the country. They are distributing food and sweets among the neighbours and the poor. Besides, foods and money are being distributed among the destitute on the occasion. A good number of Muslims will observe fast tomorrow to mark the day. Besides, the Islamic Foundation (IF) has chalked out nightlong elaborate programmes at the Baitul Mukarram National Mosque on Tuesday. The programmes include recitation from the holy Quran, hamd-nath, waz- mahfil, milad, Qiyam and special munajat. Pesh imam of the Baitul Mukarram National Mosque Mawlana Muhiuddin Quashem delivered sermon highlighting the significance of Shab-e-Barat at 7.25 pm. Noted Islamic scholar Mawlana Habibur Rahman Juktibadi delivered sermons on the importance of ibadat and doa at 9 pm. Principal of Jamia Arabiyah, Mirpur, Mawlana Syed Wahiduzzaman narrated the importance of holy night and Ramadan at 11 pm. Subsequently, the importance and advantage of 'zikr' and tahajjut is being discussed at the mosque. The nightlong programmes will end following the akheri munajat (final prayers) after Fazr prayers. The Dhaka Metropolitan Police (DMP) yesterday issued a ban on carrying explosives, crackers and explosion of firecrackers in the capital for tonight marking the Shab-e-Barat. The ban will be effective for 12 hours from 6 pm today to 6 am Wednesday.